What does a firefighter need to extinguish a fire? What does a nurse need to care for patients? And what equipment is needed on a construction site? 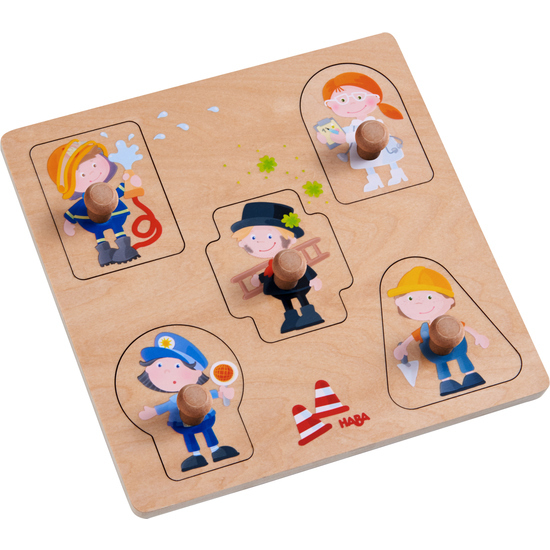 With this clutching puzzle, children can learn about different professions and match the characters to the right tools of the trade.